​​Born Reva Gwennette Harmon in Wichita, Kansas and reared in Oklahoma City, First Lady Reva Coby is the youngest of six children born to Willie and Maxine Harmon. She graduated from Classen High School in Oklahoma City. She attended Rose State College and the University of Central Oklahoma. She is a trained phlebotomist receiving her training at Metro Tech. She also completed training in Alcohol and Drug Counseling through the Oklahoma Department of Mental Health. She is a saved and Holy Ghost filled woman of God. She has been a member of the Victory Temple Church of God in Christ since 1991. She married at an early age and is the proud mother of three adult children, Greg Crawford, Jr., Sherita Crawford and Dorma Crawford. She is married to Bishop Malcolm Coby, the pastor of Victory Temple Church of God in Christ and Bishop of the Oklahoma Southeast Jurisdiction of the Church of God in Christ. First Lady Coby has worked for the past eight years as the Case Manager with a Community Action Agency, Turning Point Sober Living Apartments, This agency assists citizens who are recovering from drug and alcohol abuse. Her responsibilities include being an advocate for client services. In this role, she provides counseling, job readiness training, and connecting clients with various resources and services to transition, them into society as productive citizens. She also helps women reunite with their children from DHS protective services. From 1992 - 2000, she worked as a Detention Officer at the Oklahoma County Juvenile Detention Center. She was the Red Cross instructor for the Detention Center, training the staff in first aid. In 2000 - 2003, she worked for Dakota Village, a division of Red Rock Mental Health Center. She worked as a weekend tech with HIV/AIDs patients. As a tech, her responsibilities included random U/As, patient emergencies, dispensed medication, kept records of vital signs, and saw some of her patients through their final hours of life. She has also worked at Drug Recovery, Inc. from 1991-1996. In this position, she worked as the AIDs coordinator and supervised the Sober Living Apartments for AIDs patients. She was the advocate for twelve AIDS patients until the end of their lives. She was responsible for their medications and other support services including family relationships. She conducted Grief Support Groups. Most of these patients were dealing with AIDS as well as drug and alcohol addiction. From 1977-1986 she worked for City of Oklahoma City with Comprehensive Employment Training Act /JTPA as an Administrative Assistant to determine eligibility for services. She conducted aptitude testing to determine appropriate training goals. 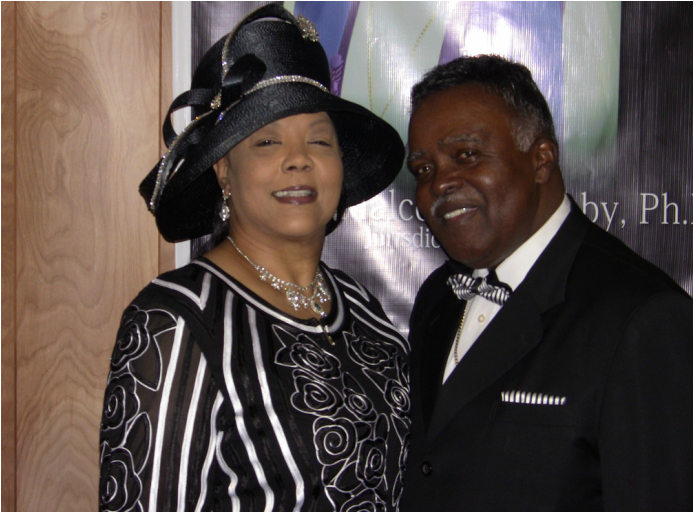 First Lady Coby serves as the President of the Department of Women at the Victory Temple Church of God in Christ World Ministry Center, Inc. She supervises more than twenty ministries in this department. She recently organized a new ministry: Women in Crisis. This is a ministry emphasizing the needs of women and children experiencing various difficulties in life. This includes but is not limited job training, spiritual guidance, finding resources for housing, food, clothing etc. for women and their families. This ministry emphasizes that "We Need Each Other to Survive".